Neven Iván Ilic Álvarez was born on April 4, 1962 in Antofagasta, Chile. He studied Civil Construction at the Catholic University of Chile. A lifelong fan of sport, he practiced soccer and tennis as an amateur. 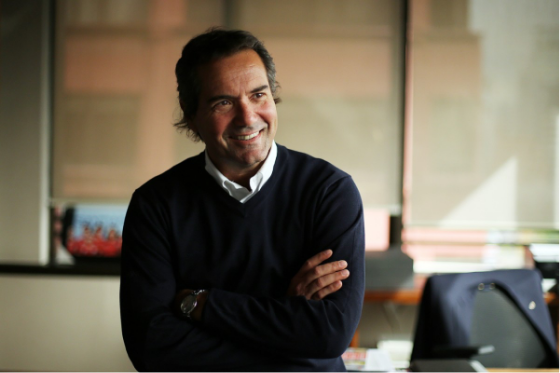 In 2000, he became the Director of the Tennis Federation of Chile. In 2004, in a close vote, he became the President of the Chilean Olympic Committee, a post he has held on three occasions: in 2008, in 2012 and lastly in 2016 when he was reelected unanimously. Among his most important achievements in charge of the Chilean NOC are the creation of ADO Chile, the Association of Olympic Athletes of Chile, which aims to technically and economically support high-performance athletes; the creation of the Olympic Sports Channel (CDO) with 24-hour transmission; the construction of the Olympic Training Center in Santiago with more than 29,000 square meters and the Olympic Training Center for Canoeing and Rowing in Curauma, Valparaíso; and the awarding of the hosting rights for the 2014 South American Games, 2017 South American Youth Games and the 2023 Pan American Games to the Chilean capital of Santiago. Ilic has been a member of the Panam Sports Executive Committee since 2008 and was re-elected in 2013. He is also a member of the ANOC Marketing Commission. After a major campaign in April 2017, and a close vote with his contender Jose Joaquín Puello, Neven Ilic became the first President Elect of the Pan-American Sports Organization since the death of former President Mario Vásquez Raña in 2015. At the International Olympic Committee Session held in Lima, Peru in September 2017, Neven Ilic was elected as an IOC Member, fulfilling one of his greatest desires as a sports leader.